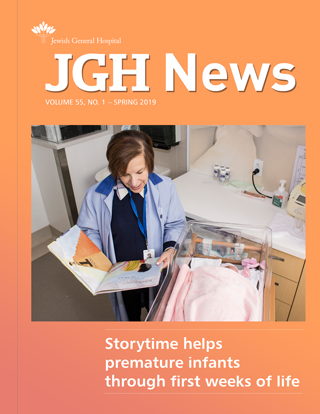 An abundance of informative and reliable material on a wide array of healthcare topics is right at your fingertips, thanks to the librarians of the JGH Patient & Family Resource Centre. Many of these documents were created by JGH professionals to help you better understand your condition and the care that’s available. 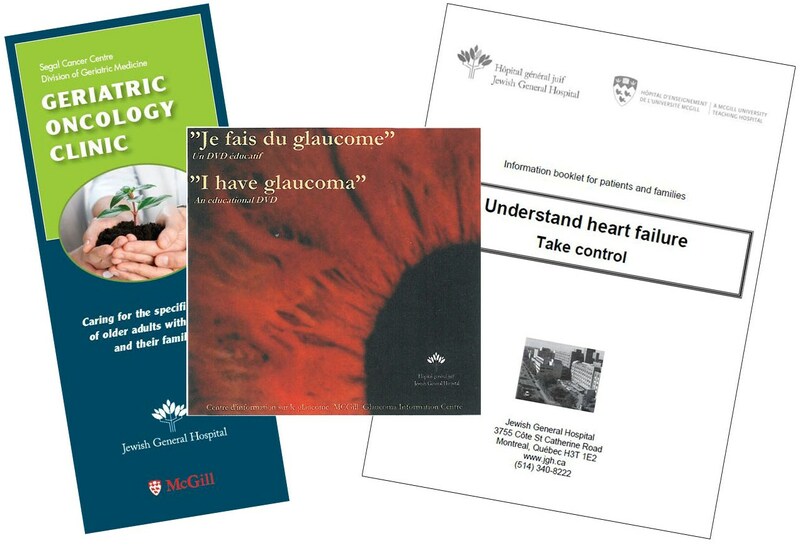 All of this bilingual material—and much more!—can be found in a search of the JGH Consumer Health and Patient Education Database. But remember that not even the best publications are as good as a consultation with your healthcare team. 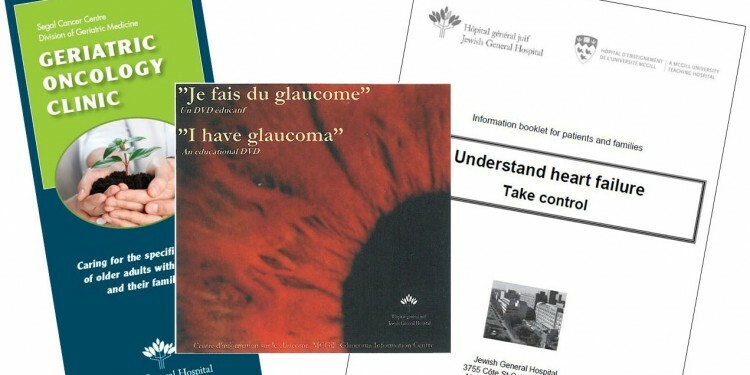 I Have Glaucoma (DVD) [J’ai le glaucome (DVD)] can be viewed online to help you better understand glaucoma and the urgent need to control this disease with medication. Understand Heart Failure: Take Control is a booklet that thoroughly explores heart failure, including its symptoms, treatments, medications, diet, exercise, weight management and relaxation. Also available is a daily weight calendar that can be printed for personal use. Geriatric Oncology Clinic: Caring for the Specific Needs of Older Adults with Cancer and Their Families is a pamphlet about the JGH Geriatric Oncology Clinic, with an explanation of what happens when someone is referred to the healthcare team. Mental Health Services for Adults, the Elderly and Their Families covers greater Montreal with a list of services that includes psychiatry, psychosocial and medical support, lodging, community follow-up and specialized care. The Infomed series was created by the JGH Pharmacy Department to provide details about the medications most commonly prescribed in the hospital. The documents explain why the drugs are prescribed, how they should be taken, possible side effects, and any precautions that may be needed. Patient Guide to Safe Handling of Body Fluids after Chemotherapy Administration is a booklet that outlines safety measures for patients who are undergoing chemotherapy. Total Knee Replacement and Total Hip Replacement explain how to prepare for surgery, what happens on the day of the operation, and what to expect in the three days after surgery, plus advice for home care.